Conservation and gas credit cards are among the tools consumers can choose to control costs and carbon emissions as illustrated by CreditDonkey.com new infographic. Iranian threats to close the Strait of Hormuz combined with rising global demand and investor speculation has pushed up gasoline prices, sparking renewed consumer interest in pinching pennies at the pump. CreditDonkey.com publishes a new infographic on the Green and Frugal Commuter to help consumers save money. Motorists can save significant sums by using a gas rewards credit card, said Tran. The rewards cards offer cash back for buying gas, usually ranging from two percent to three percent of the purchase. Because the average family spends about $2,132 a year on gas, this translates into annual savings of $42 to $63. Setting aside a rewards card just for gas can also help you manage your budget and your credit, since these cards often get better cash-back percentages on gasoline than anything else. The APR: If you tend to carry a balance, it’s probably best to buy gas with a no-rewards card that carries a lower interest rate. Limitations: Some gas credit cards require you to purchase gas from certain stations to get the highest rewards, or rewards may be limited within the space of a year. Reward Schedule: Read the terms and conditions closely. Some offer the peak cash back percentage rate only during specific quarters. Whether higher prices will reignite Americans’ interest in conservation and green energy is anybody’s guess. Public interest in climate change has waned in recent years, due mostly to the late recession, but the U.S. Energy Information Agency noted that U.S. demand for gasoline is flat – and even declining – whereas demand for oil in nations such as China and India is growing fast. Visit CreditDonkey.com to view the full infographic on The Green and Frugal Commuter. Consumers can visit CreditDonkey.com to compare gas credit card offers. 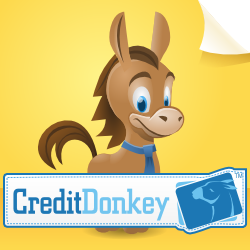 CreditDonkey.com publishes reviews, deals and tips to help consumers make informed credit decisions. They can search, compare and apply online, finding the best credit cards for their individual needs.